Here are this season’s collection of Fall Planners! 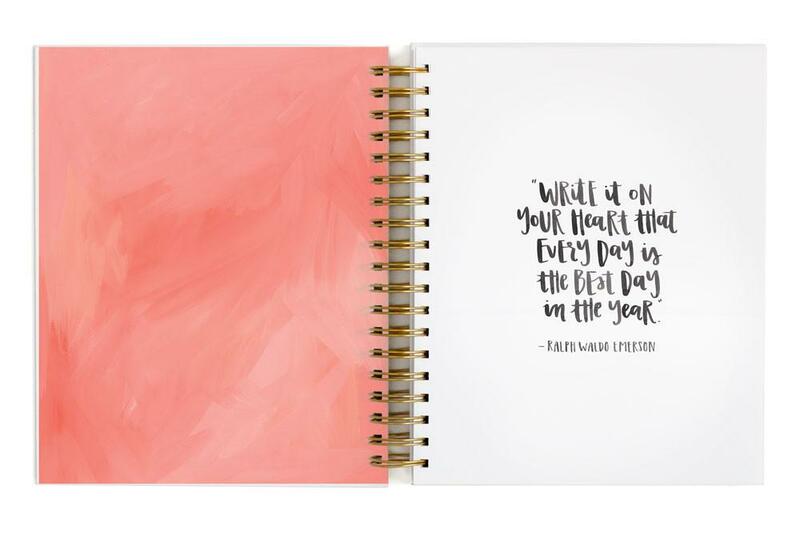 Whether you are headed back to school, ready to plan out your kids’ schedules for the fall, or wanting to get organized for work, select the perfect planner for you from our collection! If you’re like us, the feel of the paper, the cover, the binding, the size, the layout of the monthly/weekly pages, and the extra sections all matter! Here’s a review of the planners you can find in our shop! 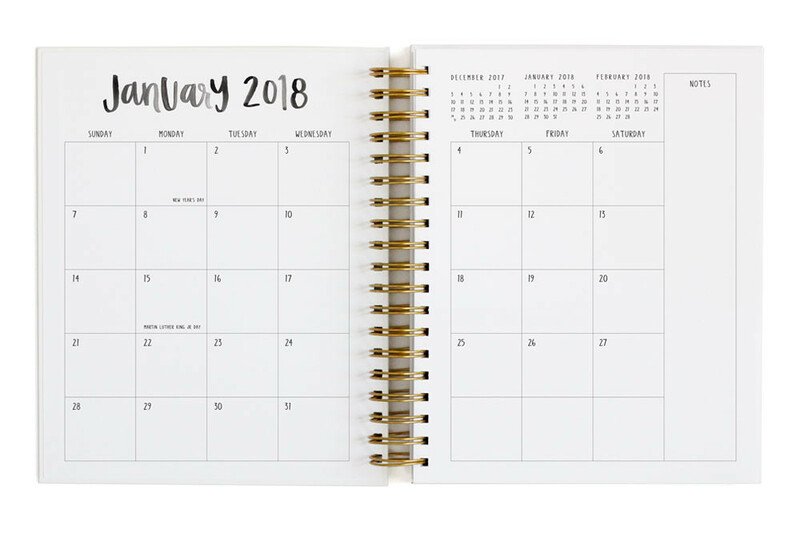 The full pages of this planner offer ample space on its monthly and weekly layout so this is the best choice if you’re looking for a large planner. The front pages include contacts, goals, and celebrations! You’ll also find inspirational quotes between months with plenty of pages for notes! The weekly pages have BIG BOXES for each day of the week! This planner is large for a reason and we love all space it has! *Available Online and in Shop! If you love tabs and dividers, this planner is for you. It is organized in different sections, from monthly overview pages to divided sections for each month. You’ll find inspirational quotes on each page and additional sections for celebrations, notes and important contacts! Each day is a bulleted list - perfect for list makers! You can check off your daily tasks as you go! *Available Online in Herb Garden or Lively Floral and in Shop! 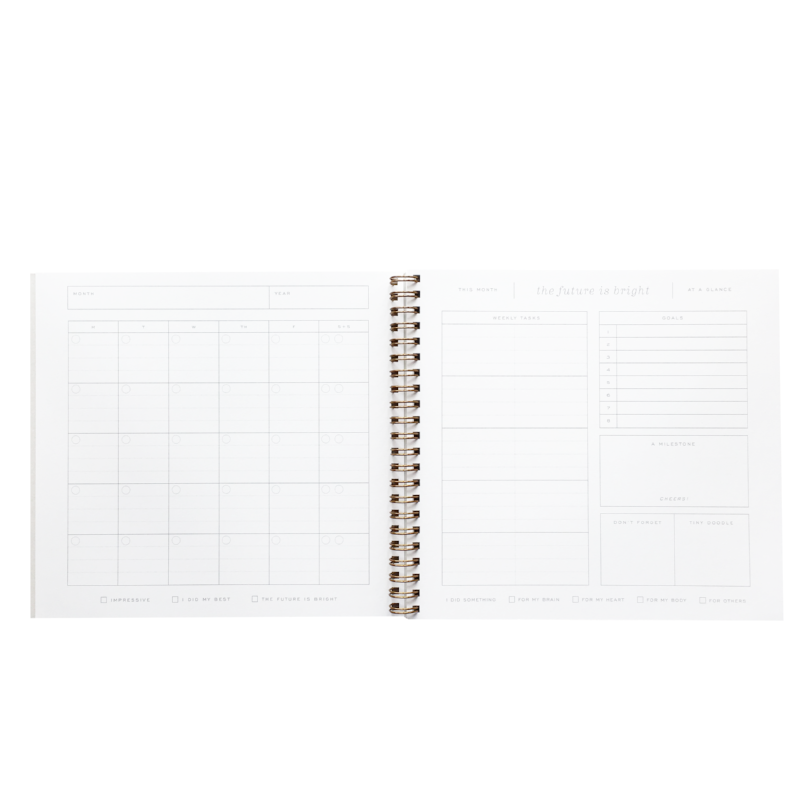 This planner is printed on 2ply extra thick 100% cotton. What does that mean? The pages are heavy yet soft in the best of ways! The undated monthly pages are paired with pages that include sections for weekly tasks, goals, and a monthly milestone. It also includes a “don’t forget” box and a space for “tiny doodles”. There are so many small details that make this planner feel like an interactive journal! The attention to detail with all the checkboxes and sections gives this planner a fun and whimsy feel! Small and compact, this planner still offers lots of space for lists and notes! The book cloth cover with its foil lettering gives this planner an elegant and professional look and offers a great textured feel. The inside pages are clean and simple and the paper is so smooth! 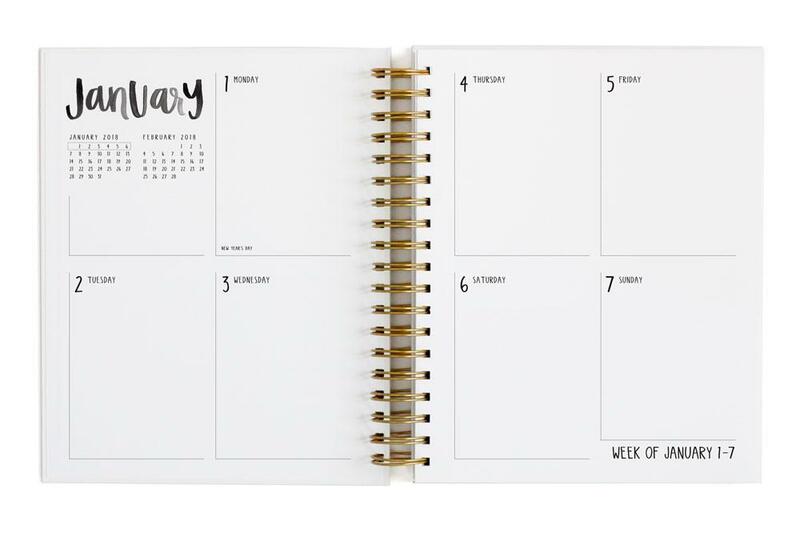 What distinguishes this planner from the rest is its grid lines in each weekly section. We can’t say enough about the book cloth cover! You’ll know when you pick this one up! This is the smallest planner in our collection. 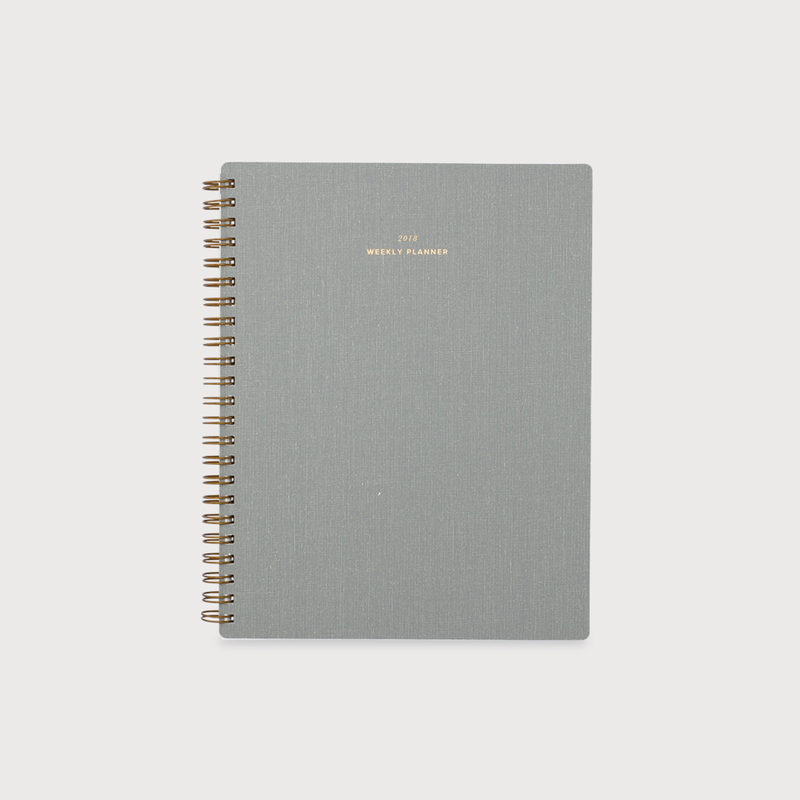 It’s also a perpetual planner meaning you can begin anytime with this undated planner! Your first step is to fill in the year on the front cover! It’s compact and light and a great if you’re looking for a planner that goes with you wherever you go! People to Meet, Places to Go and Things to Do! You can find these sections for each weekly page! For any additional questions regarding this collection, please email hello@mlovewell.com!